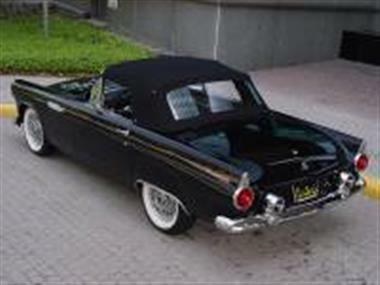 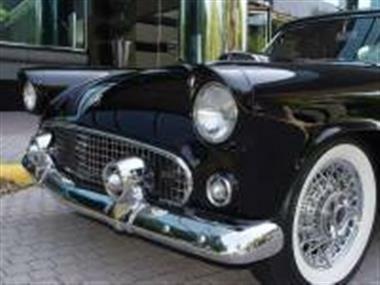 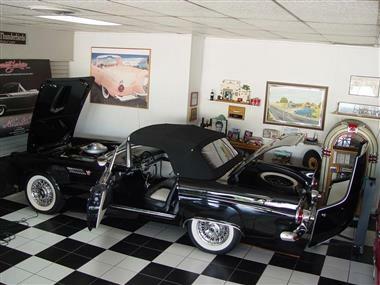 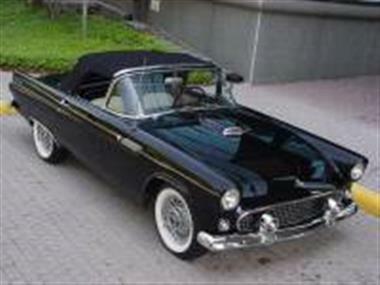 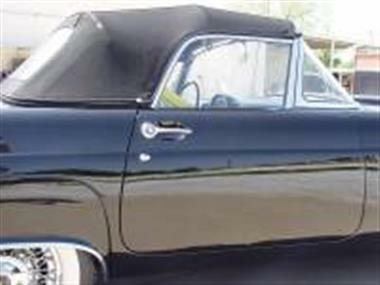 1955 Ford Thunderbird in Dallas, TX for sale. 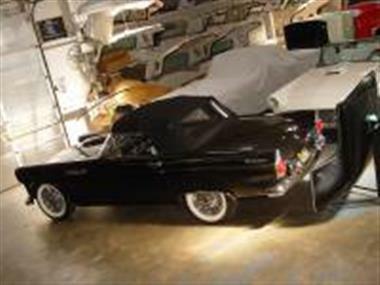 1955 Thunderbird Professional Restoration.<br /><br />Both Original Tops<br /><br />Show Quality refinish of her near perfect body with PPG Base Coat expertly color sanded and show buffed.<br /><br />Notice her gap fit and body alignment.<br /><br />Prev. 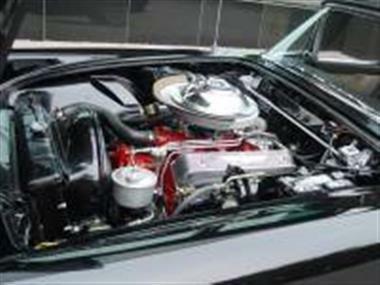 Rebuilt 292-195 h.p. 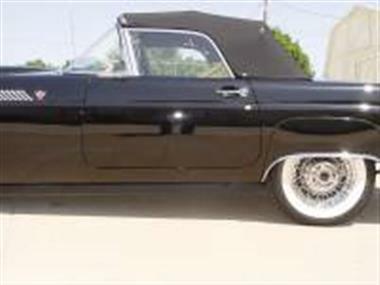 Thunderbird V/8-4BBL<br />Rebuilt Ford-O-Matic 3 speed automatic transmission<br />Rebuilt Fordsandrsquo; Master Guide Power Steering<br />Rebuilt Ford Swift Sure Power Brakes<br />Vintage Air conditioning system<br />4 Way Power Seat<br />12 volt Electrical Upgrade + Engine dress up options<br />Primer fuel pump<br />Parade fan<br /><br />Reduced diameter steering wheel and horn ring assembly<br /><br />Thunderbird Seat Belts<br />Thunderbird Floor Mats<br /><br />Odometer 65668 miles<br /><br />Restored Early Style Hartz cloth sta-fast canvas convertible top with horse shoe zipper on rear window + swing bar assembly.<br /><br />Late Production date of Aug. 11, 1955<br /><br />Real Thunderbird Wire Wheels with Wide Radials<br /><br />Definitely a prime example of a Southwest dry climate Thunderbird not subject to the high humidity climates.